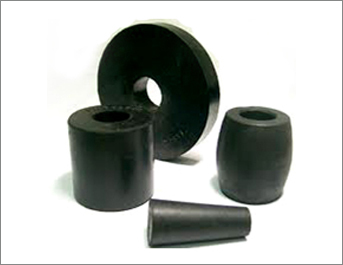 ➤ A rubber bush is a type of vibration isolator. It provides an interface between two parts, damping the energy transmitted through the bushing. The bush separates the faces of two metal objects while allowing a certain amount of movement, which helps the suspension parts to move freely. 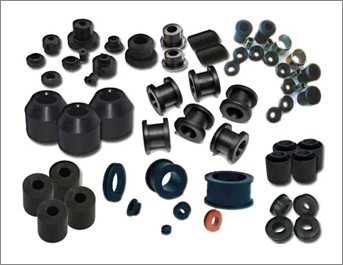 ➤ We manufacture Rubber Bushings of different shapes & sizes made from a variety of rubber grades like Neoprene, Nitrile, Silicone, EPDM, Viton, or Natural Rubber. We can also manufacture them according to customer’s specific requirements. ➤ Applications: Automobile Industry, Balancing Machines, Gears & Motors, Pumps, Blowers, Vibrators, Couplings, etc.